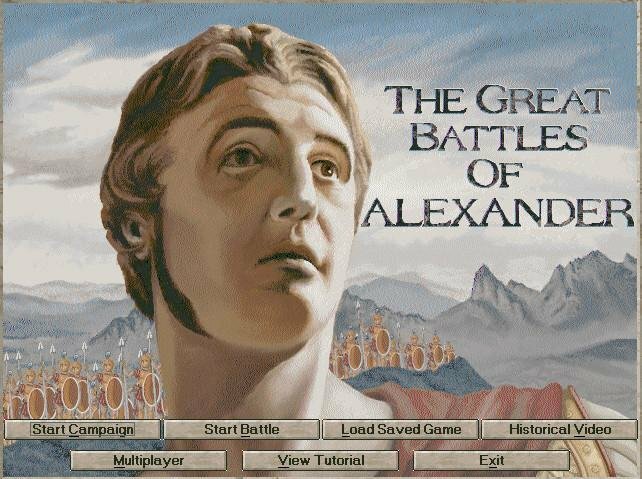 Great Battles of Alexander is surely one of the quirkiest-looking battlefield wargames ever designed. 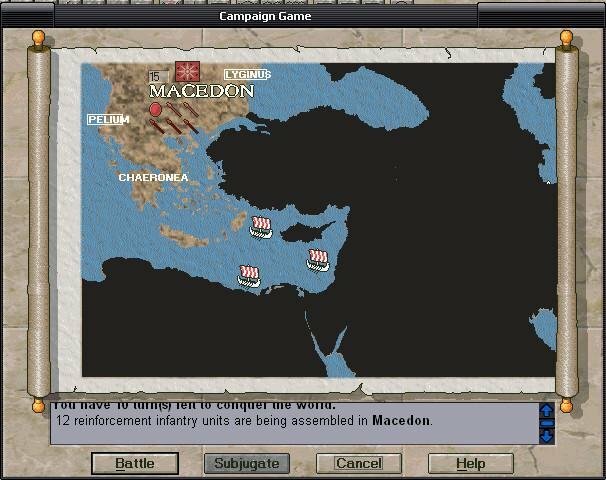 The overall visual style seems modeled on those Persian battle paintings from Alexander’s period – details of weapons, equipment, and beasts are all crisp and fine-grained, even in the zoomed-in mode. But while the graphics aren’t exceptional, the strategy within the product is definitely interesting. The graphics are complimented by animation on a micro level. 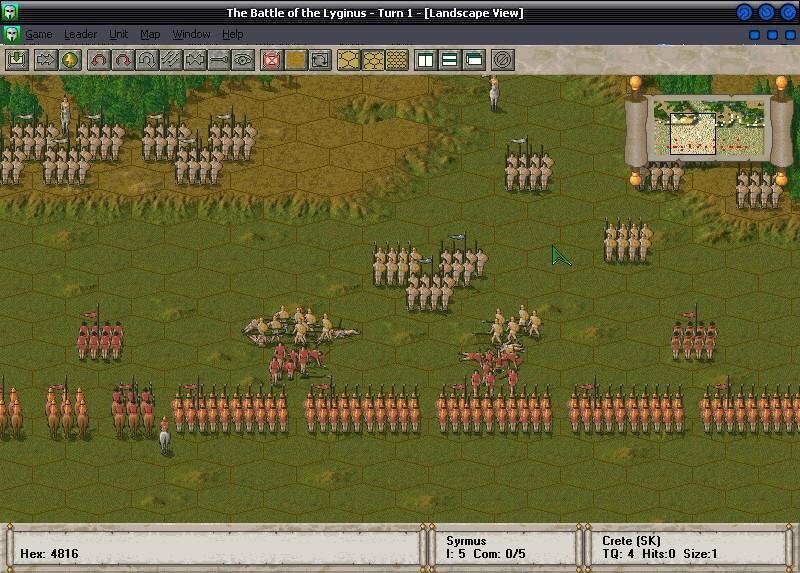 When formations clash, the men hack and thrust, and as the battle progresses, the ground gradually becomes more littered with corpses.The interface is good and the game mechanics are fairly easy to learn. 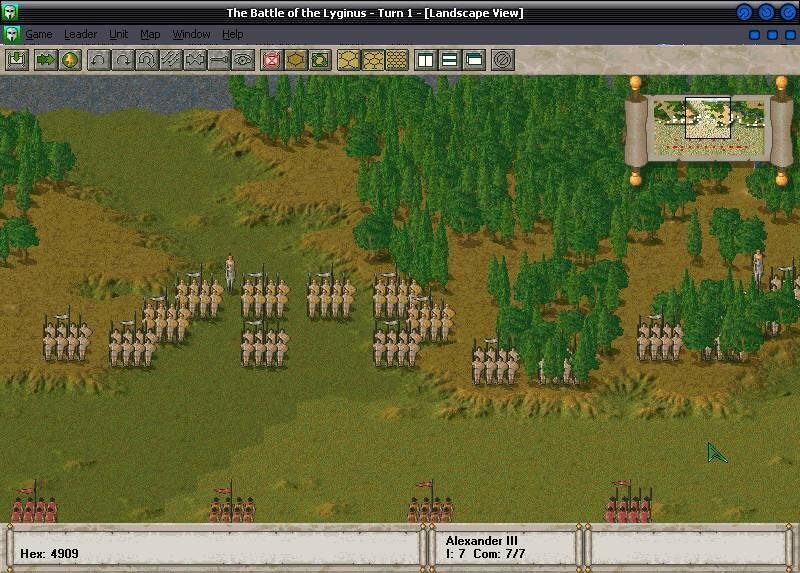 I would strongly urge even experienced wargamers, however, to pay close attention to the tutorial. The proper employment of Peltasts, Hypasists, skirmishers, light and heavy cavalry, lancers, chariots, and oxybeles (artillery) is not as readily apparent as those of 20th Century formations. Good thing the manual explains these differences. Players used to the relative omnipotence of command offered in most wargames will need to make some radical adjustments. Commanders of this period exercised little if any control over units beyond their direct sight or range of voice. 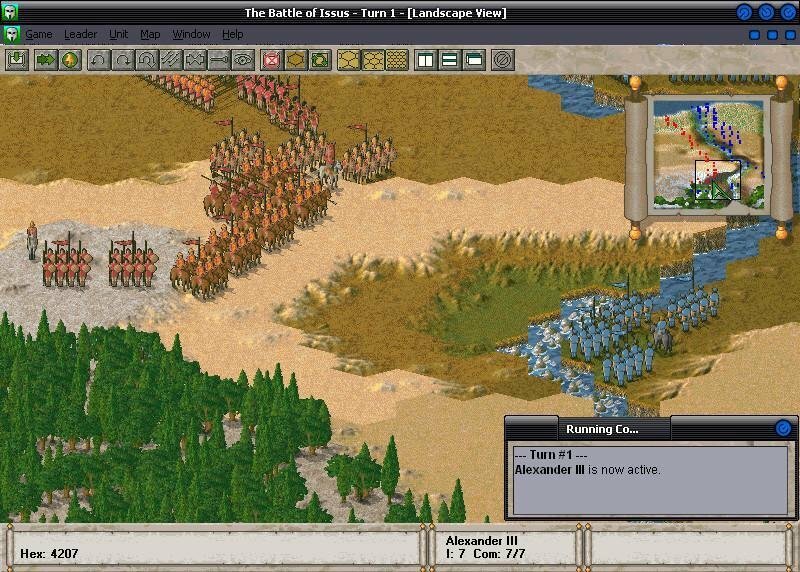 The game simulates this well by giving each commander a “range of control” (represented by lighter-colored hexes), and a rating for “initiative.” Alexander, of course, has an elite rating: he controls more troops and can issue more orders. Each turn represents approximately 20 minutes of real time. 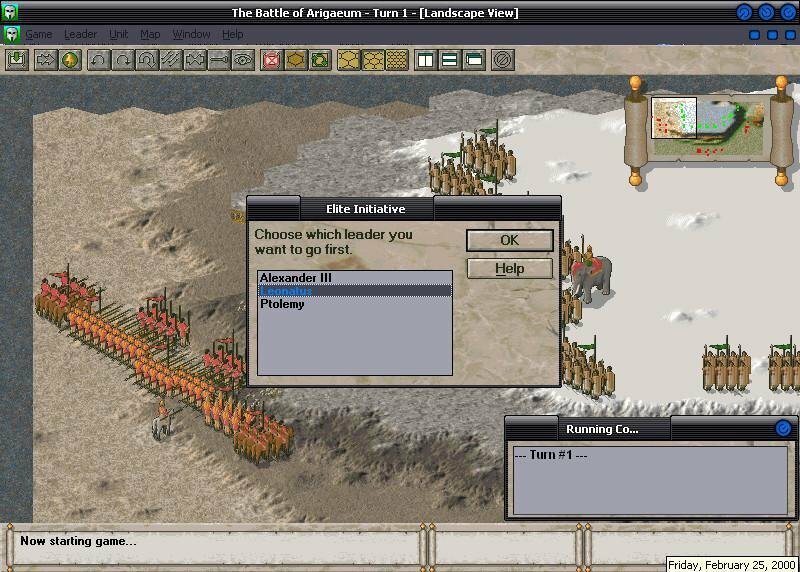 If you select an “elite advantage” for Alexander, he always goes first; after he’s finished, the computer randomly selects another commander, friend or foe. Enemy AI has been cleverly programmed to vary its strategy from game to game. Taken together, these features ensure a fairly high replay value, as no two battles play out exactly the same way each time. While victory conditions vary from scenario to scenario, the basic objective is to preserve your side’s assigned number of routing points, while inflicting the stipulated damage to the enemy. 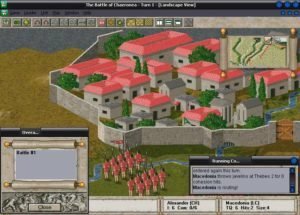 I am slightly disappointed that the game does not track casualties; admittedly, historical casualty figures from this period were usually nothing more than rough guesses, but this is something wargamers want to know, and it should be in the game. 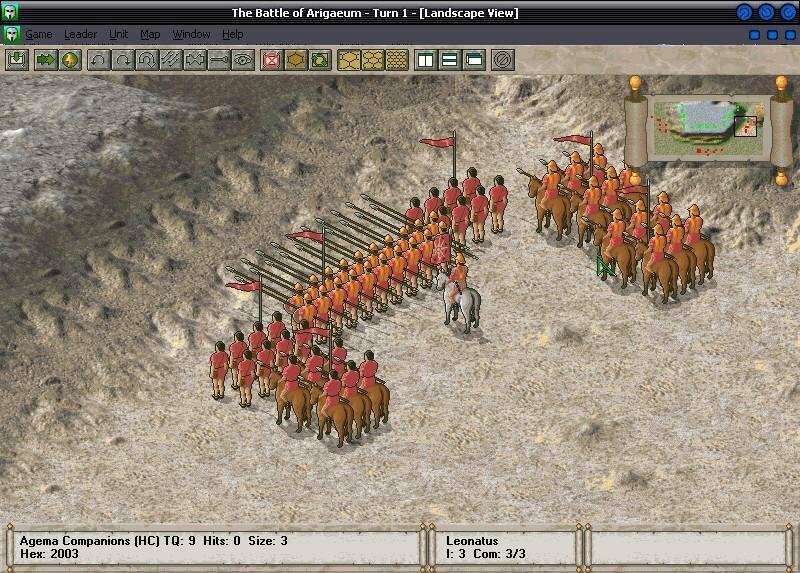 Concluding, Great Battles of Alexander is visually low tech but it’s packed with authenticity all the same. It has its design quirks, to be sure, but they aren’t major in comparison to the overall experience.